Park Pils, as it is written on the label. This pale ale is thus tested tonight. Pils is indeed still the most popular type of beer in Germany and, accordingly, many suppliers compete in this market. Since it is of course crucial, being able to produce a distinctive flavor. 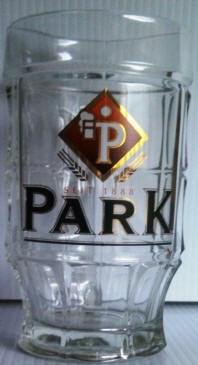 Whether the "Park Pils" with its 4.8% vol. can we see. At least visually it does quite well with the front. A very solid and snow-white froth presents itself. The taste is also entirely typical, a very spicy and bone-dry hops floods the mouth, the first sip is successful. And so it goes further too. The malt works in the background and leaves the delicate bitterness the whole place. It really falls so out of the ordinary, especially as the intensity of the hops is quite pronounced for a southern German beer. Even the aroma hops that was used here is not bad. So you can say in conclusion a good, but not dazzling Pils beer from Pirmasens.